Quit smoking. If you’re a smoker, you really need to consider quitting. As you already know, smoking is very unhealthy, not only for your overall health, but for your heart. Nicotine actually narrows and restricts blood vessels. Exercise more. You should exercise daily, or at least walk two miles a day. You don’t need to walk those two miles all at once, exercise doesn’t just burn calories. Exercise also activates genes that are very beneficial to your health. Learn to de-stress. Stress contributes to lots of health issues, including heart disease. If you find that you are stressed often, try reducing stress by getting enough sleep, exercising regularly, volunteering and laughing. Also, try to avoid stressful situations and people that make you anxious or angry. Watch your cholesterol. Having high levels of LDL, or “bad” cholesterol, increases your risk of heart disease. 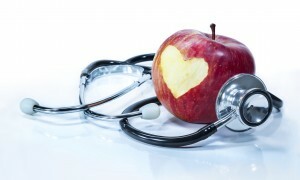 Cholesterol levels can be improved with exercise and healthy eating habits. A heart-healthy diet. Eating a healthy well-balanced diet can reduce your risk of getting heart disease. Make sure to include plenty of fruits, vegetables and whole grains in order to maintain consistent good health. If you would like more information on heart health tips, contact Dr. Gordon C. Gunn MD in Fullerton, CA at 714-912-2211 or visit www.gordongunnmd.com to schedule an appointment today .